Resident Evil 2 is back in a true remake and time has come for our final verdict. Sadly, all video content is still under embargo, which means you guys will wait to wait a couple of more days to see the final game in action. For now, feel free to read our thoughts about it and to leave a comment if you feel like it. Though obviously less surprising than Resident Evil 7 2 years ago (how times flies...), Resident Evil 2 is an excellent way to dive into an all-time classic without having to turn to retro gaming. 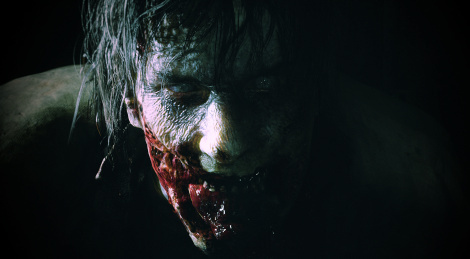 Gameplay-wise, this remake is very close to RE7 but in third person this time, but it still manages to keep the sweet flavor of the 90s, with its B movie storyline and characters, its typical progression with a bit of backtracking and a bunch of bosses, and of course its enclosed environments taking you from Raccoon City's police precinct to the sewers and Umbrella's secret lab. Old gamers will undoubtedly be happy to go back to RE2 and to see the different changes made to this remake while newcomers will be able to discover one of the best games of the franchise. Isn't it what all remakes should be about? + Now that's a true remake! Do you mean A/B scenarios are back, as in AB Leon AND an AB for Claire too? Or is it 2 different campaigns for the 2 characters in general i.e one fixed version of AB? Based on what I've read in other reviews (except IGN's since they're useless lol) You choose your starter character and play through scenario A. Which unlocks the other characters scenario B. You can then do the reverse to unlock all scenarios. Do that and you unlock hunk and tofu. Awesome, so just like the original then. I thought the developers said around E3 that there was just a single A and B playthrough for both Leon and Claire because the little changes in the original game with Leon A/Claire B and Claire A/Leon B were very minor.